Stretching down the ‘boot’ of Italy, Puglia boasts over 800 kilometres of idyllic sandy coastline and azure sea. 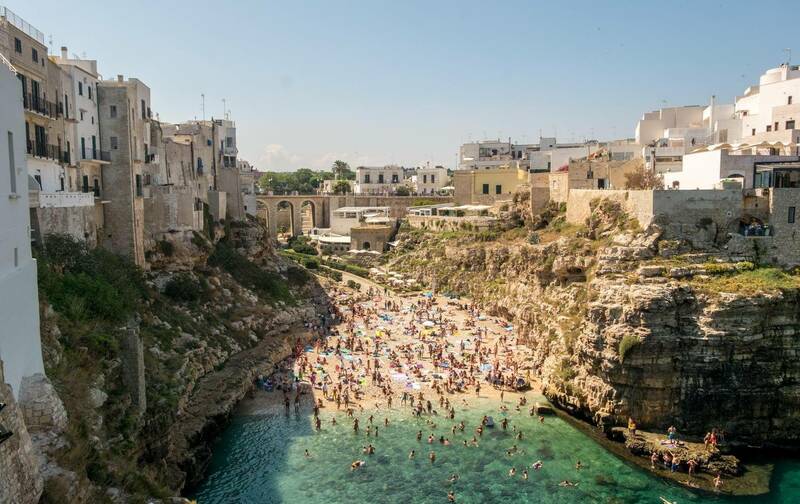 In our ongoing quest to bring you the insider’s guide to our villa regions, we’ve compiled the ultimate list of places to go and things to see in Puglia. Enjoy. 5. Lecce, a historic town in the region of Salento, known as the ‘heel’ of Italy. Recommended for its culture, scenery and history. 5. La Locanda di Federico (Bari) This cosy, traditional restaurant has an exciting menu full of fresh, local ingredients. Set in a beautiful piazza, this is al fresco dining at its best. 3. Visit a vineyard and taste some Puglian wine. We suggest Catine Polvanera where they produce the most delicious, velvety Primitivo wine. 5. Admire the sunset from the top of "Santuario di S.M. di Leuca", a historic temple with unparalleled sea views from the very tip of the ‘heel’ of Italy.